Eau Claire bankruptcy attorney Joshua D. Christianson focuses his practice on assisting clients to obtain relief from debts. He has over ten years’ experience representing clients in bankruptcy and debt relief matters before both bankruptcy and circuit courts. Before joining Christianson & Freund, he also helped clients in family and divorce law, criminal defense, real estate, estate planning, wills and probate, and civil litigation matters. This broad experience gives Mr. Christianson the background to understand his client’s complex financial issues and how they relate to other areas of the law. 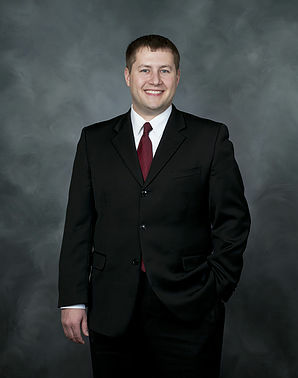 Attorney Christianson lives in Menomonie with his wife and two children, and is active in the Chippewa Valley. He is a member of the Eau Claire Noon Rotary Club, and the Eau Claire and St. Croix Valley Bar Associations. University of Wisconsin Law School, 2006, J.D.